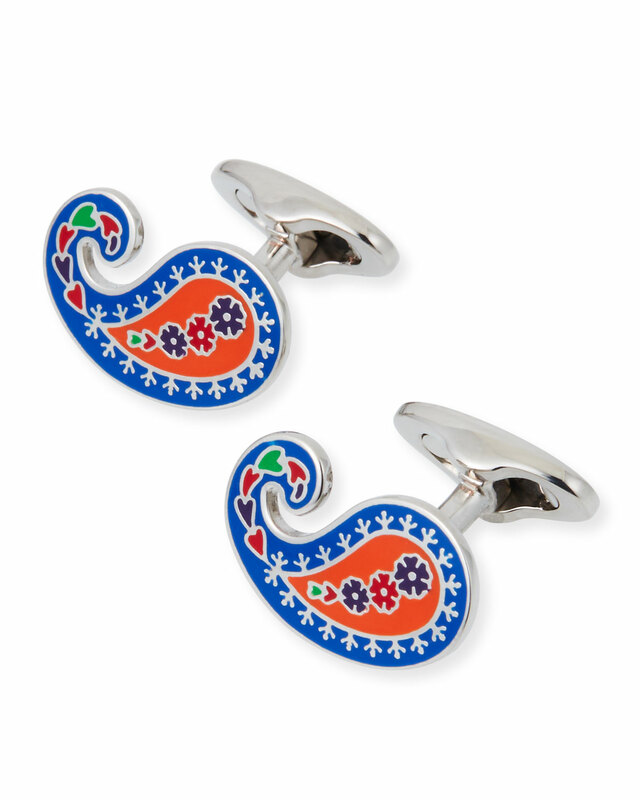 Etro cuff links in enameled paisley motif. Etro cuffs links in engraved brass. Opens to reveal a hand of playing cards. These barrel-shaped cufflinks feature pink and lavender bands of color with the same luminous appeal as mother-of-pearl. 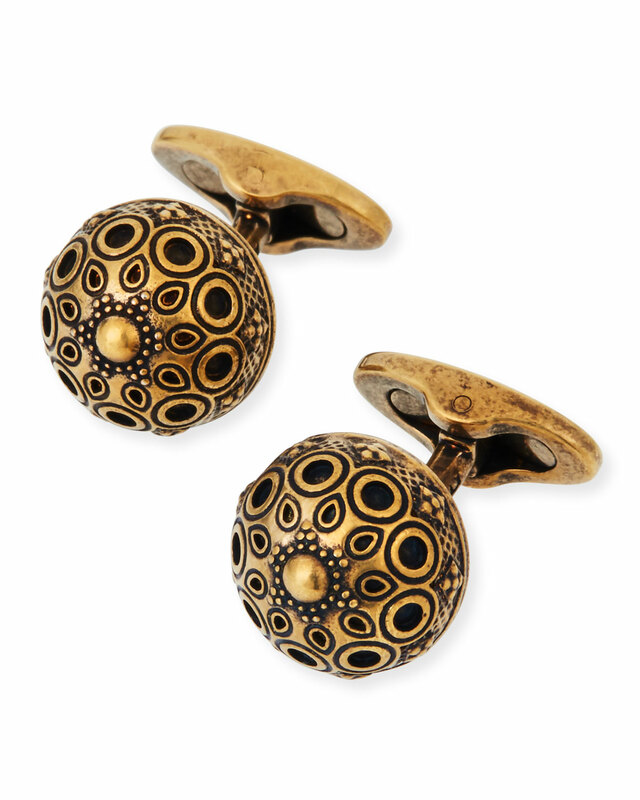 Featuring an antique coin, these gold-tone cufflinks add a sophisticated touch to your look. Swivel back. Authentic coin. These Clint Orms Sterling Silver Longhorn Cuff links are stunning and fit for any cattle rancher. Like all Clint Orms Engravers & Silversmiths pieces, it is 100 percent handmade and engraved, and is designed to represent Texas to the fullest. 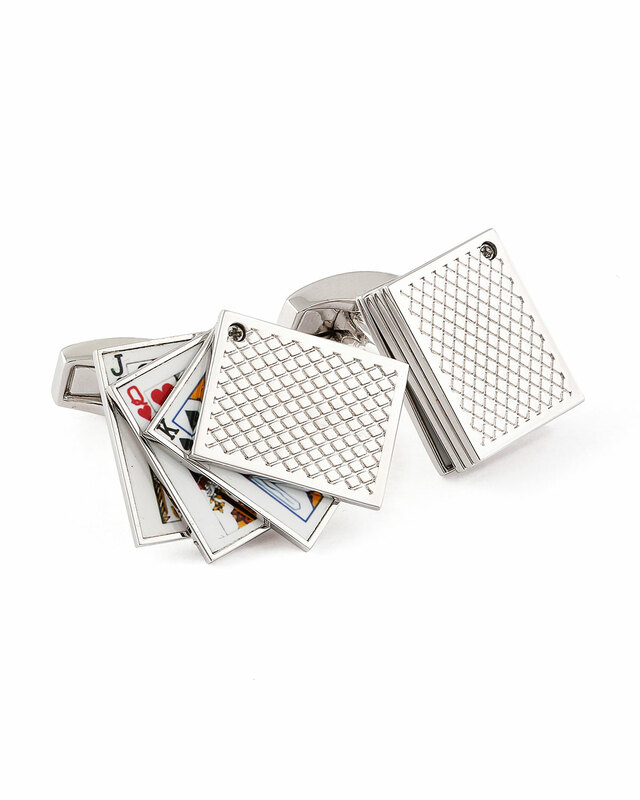 Add the perfect finishing touch to your look with these stylish cufflinks by Egara. Add the perfect finishing touch to your French cuffs with these polished silver cufflinks etched in lilac.